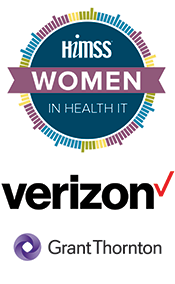 Get inspired by the recipients of the HIMSS’s Most Influential Women in Health IT Award. This panel of distinguished women will share their journeys of transformational change and innovation in the health sector. They have shown that one can be influential at any career stage and across the healthcare trajectory, from care delivery, to informatics, to business. Dr. Hudak is the professor and director of the health informatics graduate program in the school of information at Kent State University. She has been in this role since 2012, in addition to her role there as a contributing interdisciplinary faculty member in the school of digital sciences. Dr. Hudak has more than 30 years of experience in the health informatics field, including project management, systems implementation, systems analysis, teaching and instructional development. She was involved in the first information system implementation of MetroHealth Medical Center in 1985. Dr. Hudak is a HIMSS Fellow and a widely recognized author, co-author and invited presenter on health informatics. She is an assistant editor for the Online Learning Journal, editor of the Fourth and Fifth Editions of the HIMSS Dictionary of Health Information Technology Terms, Acronyms, and Organizations and peer reviews and contributes her expertise to a multitude of industry publications. Dr. Hudak holds a bachelor’s degree in nursing, a master’s degree in postsecondary education and a doctoral degree in urban education administration. She is a member of the HIMSS’s annual conference education committee, professional development committee, CPHIMS Technical Committee, the distance education committee, the legislation-regulation task force, the interoperability and the health information exchange leadership group. She is a certified CAHIMS/CPHIMS Review Course Instructor and a HIMSS annual conference reviewer. She is the previous president and the current chair of education for the Northern Ohio Chapter of HIMSS, where she has been on the board of directors since 2006. Hawthorne is the current senior vice president and chief information officer at Children's Hospital of Philadelphia (CHOP), where she has oversight of a 550 employee information services (IS) department. Her healthcare career spans over 16 years, with extensive experience in hospital operations, information services, revenue cycle, and project management. Working collaboratively with the IS Executive Committee and other CHOP senior leaders, she manages an enterprise-wide portfolio of over 90 IS projects annually. In addition to her operational leadership, she participates on governance committees, leads IS oversight and leadership groups, and provides regular updates to the CHOP Board of Directors. Overall, Ms. Hawthorne ensures that Information Services is supporting CHOP's strategic initiatives; protecting patient safety, and promoting information security. In previous roles, Hawthorne served as associate chief information officer and assistant vice president of health information management (HIM) and information system business operations. In addition, she previously served as administrator of the patient management services and special procedures area at Memorial Medical Center in Springfield, Illinois. Hawthorne completed her Administrative Fellowship with VHA, Inc., Las Colinas, Texas in 2002. She is currently a Fellow in the American College of Healthcare Executives. Hawthorne holds a bachelor’s degree in biological sciences, a master’s degree in healthcare administration, a master’s degree in business administration, and a doctoral degree in information studies. Lygeia Ricciardi is the chief transformation officer at Carium, where she provides leadership on go-to-market and product strategy and heads the marketing team. Carium is a software company that empowers individuals and their care teams to successfully navigate their health journeys in a personalized, holistic way. Lygeia has been at the vanguard of the patient engagement movement for over a decade, including federal government work where she established and led the Office of Consumer eHealth at the Office of the National Coordinator for Health IT. In previous roles she served as president of Clear Voice Consulting and director at the Markle Foundation. Lygeia elevated patients and their interests in the context of policies and programs throughout the federal government and the private sector, including the $36 billion meaningful use program and the Blue Button Initiative, both of which enable consumers to have access to and use of their own health data. She has also written Harvard Business School case studies and shaped health technology policies at the Federal Communications Commission. Lygeia is a frequent presenter at national conferences and is consistently voted among the most influential voices in digital health and healthcare. She has been featured by C-SPAN, the Wall Street Journal, and Consumer Reports. She has studied at Wellesley College, the Harvard Graduate School of Education, and the MIT Media Lab. At HIMSS, Lygeia is a Champion of Health and a Social Media Ambassador. Gupta is the director of global healthcare solutions at Google Cloud, where she sets direction for transformative healthcare solutions. In this role, she leads engagement with healthcare key executives, helping to redesign their business strategies to define new models for care, revenue generation and improved patient experiences. Gupta leads solutions to substantially improve patient care and experience by incorporating strategic technology elements of open APIs, artificial intelligence and cloud technologies. Gupta launched FHIR accelerator, Apigee’s Health APIx, advancing the use of API technologies to enable healthcare’s digital transformation and drive interoperability and standards adoption via FHIR APIs. She also worked as a trusted advisor to the CIO of The Chilean Health Ministry for building a technical architecture to create a nationwide API-based connectivity. In her previous role at Kaiser Permanente, she led digital health incubations and drove innovations through the convergence of various digital technologies. Gupta holds a bachelor’s degree and a master’s degree, both in computer science. Gupta is also the founder of GirlsInTek, an initiative to ignite girl’s innovative talent and interest in computer science. She has been involved with HIMSS since 2010 and spearheaded the HIMSS API Symposium and Developer Innovation Lab with HIMSS Innovation Fellows. Denise Hines, DHA, PMP, FHIMSS is Chief Americas Officer at HIMSS. Dr. Hines is an award-winning, nationally recognized expert in healthcare technology. Dr. Hines has more than two decades of healthcare experience in a variety of settings, including health systems, physician offices, home health, technology vendors, consulting, state government and revenue management. Dr. Hines recently was a member of the HIMSS Board of Directors and the Chair Emeritus for HIMSS North America Board of Directors. She is the past president of the HIMSS Georgia Chapter and was recognized as the 2012 HIMSS Chapter Leader of the Year, with GA HIMSS named the 2012 Chapter of the Year. In 2017, she was recognized with the prestigious Women of the Year in Technology – Small Enterprise Award from Georgia’s Women in Technology (WIT). Dr. Hines holds her doctorate degree in healthcare administration where she focused her studies on the use of electronic personal health records and the impact on patient health. She also maintains certifications in project management, software development, and healthcare law. She is on the Board of Advisors for Georgia State University’s Byrdine F. Lewis College of Nursing and Health Professions, as well as the Advisory Board for the College of Coastal Georgia.